Distinguished Lecture Series on Data Analytics and A.I. 12 April 2019 (Friday) 4:30 - 5:30 p.m. The concept of a distributed ledger was invented as the underlying technology of the public or permissionless Bitcoin cryptocurrency network. But the adoption and further adaptation of it for use in the private or permissioned environments is what I consider to be of practical consequence and hence only such private blockchain systems will be the major focus of this talk. Computer companies like IBM, Intel, Oracle, Baidu and Microsoft, and many key players in different vertical industry segments have recognized the applicability of blockchains in environments other than cryptocurrencies. IBM did some pioneering work by architecting and implementing Fabric, and then open sourcing it. Now Fabric is being enhanced via the Hyperledger Consortium as part of The Linux Foundation. There is a great deal of momentum behind Hyperledger Fabric throughout the world. Other private blockchain efforts include Enterprise Ethereum, Hyperledger Sawtooth and R3 Corda. While currently there is no standard in the private blockchain space, all the ongoing efforts involve some combination of persistence, transaction, encryption, virtualization, consensus and other distributed systems technologies. Some of the application areas in which blockchain systems have been leveraged are: global trade digitization, derivatives processing, e-governance, Know Your Customer (KYC), healthcare, food safety, supply chain management and provenance management. In this talk, I will describe some use-case scenarios, especially those in production deployment. I will also survey the landscape of private blockchain systems with respect to their architectures in general and their approaches to some specific technical areas. I will also discuss some of the opportunities that exist and the challenges that need to be addressed. Since most of the blockchain efforts are still in a nascent state, the time is right for mainstream database and distributed systems researchers and practitioners to get more deeply involved to focus on the numerous open problems. Extensive blockchain related collateral can be found at http://bit.ly/CMbcDB. 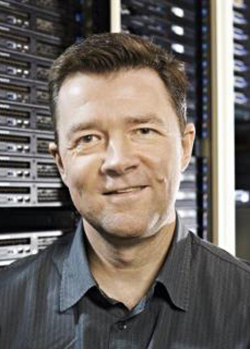 Pascal Poupart is a Full Professor in the David R. Cheriton School of Computer Science at the University of Waterloo, Waterloo (Canada). He received the B.Sc. in Mathematics and Computer Science at McGill University, Montreal (Canada) in 1998, the M.Sc. in Computer Science at the University of British Columbia, Vancouver (Canada) in 2000 and the Ph.D. in Computer Science at the University of Toronto, Toronto (Canada) in 2005. His research focuses on the development of algorithms for reasoning under uncertainty and machine learning with application to Assistive Technologies, Natural Language Processing and Telecommunication Networks. He is most well known for his contributions to the development of approximate scalable algorithms for partially observable Markov decision processes (POMDPs) and their applications in real-world problems, including automated prompting for people with dementia for the task of handwashing and spoken dialog management. Other notable projects that his research team are currently working on include deep learning with clear semantics, structure learning, personalized transfer learning, conversational agents, adaptive satisfiability and stress detection based on wearable devices. Pascal Poupart received a Cheriton Faculty Fellowship (2015-2018), a best student paper honourable mention (SAT-2017), an outstanding collaborator award from Huawei Noah's Ark (2016), a top reviewer award (ICML-2016), the best main track solver and best application solver (SAT-2016 competition), a best reviewer award (NIPS-2015), an Early Researcher Award from the Ontario Ministry of Research and Innovation (2008), two Google research awards (2007-2008), a best paper award runner up (UAI-2008) and the IAPR best paper award (ICVS-2007). He also serves as associate editor of the Journal of Artificial Intelligence Research (JAIR) (2017 - present), member of the editorial board of the Journal of Machine Learning Research (JMLR) (2009 - present) and guest editor for Machine Learning Journal (MLJ) (2012 - present). He routinely serves as area chair or senior program committee member for NIPS, ICML, AISTATS, IJCAI, AAAI and UAI. He serves as technical advisor for Huawei Technologies, ElementAI, TalkIQ and ProNavigator. His research collaborators include Huawei Technologies, Google, Intel, Kik Interactive, In the Chat, Slyce, HockeyTech, ProNavigator, the Alzheimer Association, the UW-Schlegel Research Institute for Aging, Sunnybrook Health Science Centre and the Toronto Rehabilitation Institute. In several application domains, data instances are produced by a population of individuals that exhibit a variety of different characteristics. For instance, in activity recognition, different individuals might walk or run with different gait patterns. Similarly, in sleep studies, different individuals might exhibit different patterns for the same sleep stages. In telecommunication networks, software applications might generate packet flows between servers according to different patterns. In such scenarios, it is tempting to treat the population as a homogeneous source of data and to learn a single average model for the entire population. However, this average model will perform poorly in recognition tasks for individuals that differ significantly from the average. Hence, there is a need for transfer learning techniques that take into account the variations between individuals within a population. In this talk, I will describe online algorithms to transfer knowledge on the fly from specific individuals within a population to a new individual in order to bootstrap the learning process in sequential tasks such as activity recognition, sleep stage identification and packet flow prediction in telecommunication networks. Joseph A. Konstan is Distinguished McKnight University Professor and Distinguished University Teaching Professor in the Department of Computer Science and Engineering at the University of Minnesota. 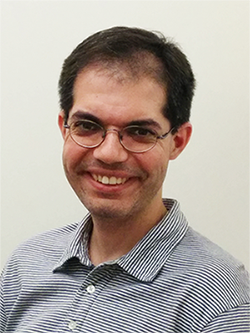 His research addresses a variety of human-computer interaction issues, including personalization (particularly through recommender systems), eliciting on-line participation, and designing computer systems to improve public health. He is probably best known for his work in collaborative filtering recommenders (the GroupLens project, work which won the ACM Software Systems Award and Seoul Test of Time Award). Dr. Konstan received his Ph.D. from the University of California, Berkeley in 1993. He is a Fellow of the ACM, IEEE, and AAAS, and a member of the CHI Academy. Konstan is co-Chair of the ACM Publications Board, served as President of ACM SIGCHI and is a member of the ACM Council. Recommender systems help users find items of interest and help websites and marketers select items to promote. Today's recommender systems incorporate sophisticated technology to model user preferences, model item properties, and leverage the experiences of a large community of users in the service of better recommendations. Yet all too often better recommendations--at least by traditional measures of accuracy and precision--fail to meet the goal of improving user experience. This talk will take a look at successes and failures in moving beyond basic machine learning approaches to recommender systems to emphasize factors tied to user behavior and experience. Along the way, we will explore a generalizable approach to combining human-centered evaluation with data mining and machine learning techniques. Prof. Ikhlaq Sidhu is the founding faculty director and chief scientist of UC Berkeley’s Sutardja Center for Entrepreneurship & Technology. He received the IEOR Emerging Area Professor Award from his department at Berkeley. Ikhlaq Sidhu is an innovator with an industry background and the perspective of an academic. He teaches, advises, and manages people to enable impactful and relevant innovation, which today demands a different kind of leadership. From him, people learn how to create new things that are technically complex that will also actually have impact in the real world. He is an innovator in the narrow sense (e.g. created 60+ patents, technology, and products) and he is an innovator in the broad sense (e.g. launched ventures, raised funds, founded organizations, led businesses, and navigated complex organizational challenges) within areas of data networking, telecommunications, and academics. Sidhu is most known for bringing an industry perspective to academia. He founded the Sutardja Center for Entrepreneurship & Technology in 2005 and launched its many spin-offs programs. With Ken Singer, he co-created the Berkeley Method of Entrepreneurship (for students) and the Berkeley Method of Innovation Leadership (for existing companies). Both of these frameworks add concepts of social-psychology, mindset, and journey to the traditional steps of innovation. The spin-offs from his work at Berkeley include the GVL in 2008, the Fung Institute in 2009, the Engineering Leadership Professional Program in 2011, SkyDeck in 2012, the Innovation Collider in 2015, and Data-X in 2016. Sidhu serves on several boards and advisory roles including Venture Advisor at Onset Ventures (a leading Silicon Valley investment firm), the Faculty Committee for Lawrence Hall of Science at UC Berkeley, the Board of Trustees of the Hamad Bin Khalifa University, Qatar, Fellow, Applied Innovation Institute, and the Faculty Director’s Council, Jacob’s Institute of Design at UC Berkeley. HKBU has recently embarked upon a journey of integrating the emerging areas of Data Analytics and Artificial Intelligence with "X", where X is effectively a broad range of academic research and teaching areas. Coincidentally, at the University of California Berkeley, we have also been actively developing a new level integration between data related technology areas and a wide array of academic areas including humanities, engineering, and business. In fact, although Data and AI is an important topic for CS departments in a technical sense, it's also an important teaching and research area for non-technical parts of any university. Topics covered in this talk will include i) research direction examples, ii) strategies to maximize the benefit of Data and AI across the university, and iii) the evolution of data-related education including some examples from recent initiatives at Berkeley and our collaboration with HKBU intended to prepare students for a changing world. Edwin R. Hancock holds a BSc degree in physics (1977), a PhD degree in high-energy physics (1981) and a D.Sc. degree (2008) from the University of Durham, and a doctorate Honoris Causa from the University of Alicante in 2015. From 1981-1991 he was at the Rutherford-Appleton Laboratory, working on high energy physics experiments at the Stanford Linear Accelerator Center (SLAC) providing the first measurements of charmed particle lifetimes. 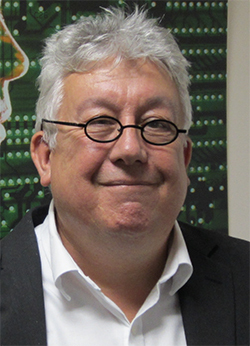 In 1991, he moved to the University of York as a lecturer in the Department of Computer Science, where he has held a chair in Computer Vision since 1998. He leads a group of some 25 faculty, research staff, and PhD students working in the areas of computer vision and pattern recognition. He has published about 180 journal papers and 650 refereed conference publications. He was awarded the Pattern Recognition Society medal in 1991 and an outstanding paper award in 1997 by the journal Pattern Recognition. He has also received best paper prizes at CAIP 2001, ACCV 2002, ICPR 2006, BMVC 2007 and ICIAP in 2009 and 2015. In 2009 he was awarded a Royal Society Wolfson Research Merit Award. In 1998, he became a fellow of the International Association for Pattern Recognition. 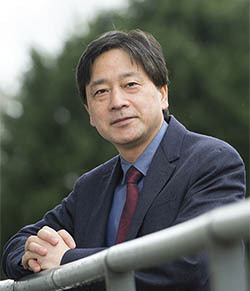 He is also a fellow of the Institute of Physics, the Institute of Engineering and Technology, and the British Computer Society. In 2016 he became a fellow of the IEEE and was named Distinguished Fellow by the British Machine Vision Association. He is currently Editor-in-Chief of the journal Pattern Recognition. He has also been a member of the editorial boards of the journals IEEE Transactions on Pattern Analysis and Machine Intelligence, Pattern Recognition, Computer Vision and Image Understanding, Image and Vision Computing, and the International Journal of Complex Networks. He has been Conference Chair for BMVC in 1994 and Programme Chair in 2016, Track Chair for ICPR in 2004 and 2016 and Area Chair at ECCV 2006 and CVPR in 2008 and 2014, and in 1997 established the EMMCVPR workshop series. He has been a Governing Board Member of the IAPR since 2006, and is currently Vice President of the Association. This talk focuses on how to use network entropy as a means of characterising network structure and investigating the relationship between changes in network structure and function with time. Examples are presented on network data extracted from the data for the New York Stock Exchange. We show how the entropic characterisation can be extended to develop Euler- Lagrange equations which describe the evolution of the node degree distribution, and can be used to predict the evolution of network structure with time. If time permits, we will also describe how to extend our model to include quantum spin statistics, and explore how Bose-Einstein and Fermi-Dirac statistics modify the evolution of network structure. We demonstrate some of the utility of the proposed methods on fMRI images of Alzheimer brains. Christian S. Jensen is Obel Professor of Computer Science at Aalborg University, Denmark, and he was recently with Aarhus University for three years and spent a one-year sabbatical at Google Inc., Mountain View. His research concerns data management and data-intensive systems, and its focus is on temporal and spatio-temporal data management. Christian is an ACM and an IEEE Fellow, and he is a member of Academia Europaea, the Royal Danish Academy of Sciences and Letters, and the Danish Academy of Technical Sciences. He has received several national and international awards for his research. He is Editor-in-Chief of ACM Transactions on Database Systems. Important societal processes are increasingly being digitalized. Vehicular transportation is one such process. In the US alone, 112 million people commute by car out of a population of 325 million. The increasing availability of vehicle trajectory data enables the capture of vehicular transportation at an unprecedented level of detail. The speaker argues that in this new setting, the traditional vehicle routing paradigm, Dijkstra’s paradigm, where a road network is modeled as a graph and weights are assigned to edges, is obsolete. Instead, new and data-intensive paradigms that thrive on data are called for. The talk will cover several such paradigms, including a path-based paradigm, an on-the-fly paradigm, and a cost-oblivious paradigm. These paradigms present new challenges and opportunities to research in routing. The talk will cover ongoing research in relation to these paradigms. Yaochu Jin received the B.Sc., M.Sc., and Ph.D. degrees from Zhejiang University, Hangzhou, China, in 1988, 1991, and 1996, respectively, and the Dr.-Ing. degree from Ruhr University Bochum, Germany, in 2001. He is a Professor in Computational Intelligence, Department of Computer Science, University of Surrey, Guildford, U.K., where he heads the Nature Inspired Computing and Engineering Group. His main research interests include evolutionary optimization, machine learning, and evolutionary developmental systems. He has (co)authored over 250 peer-reviewed journal and conference papers and been granted eight patents on evolutionary optimization. He has delivered 30 invited keynote speeches at international conferences. 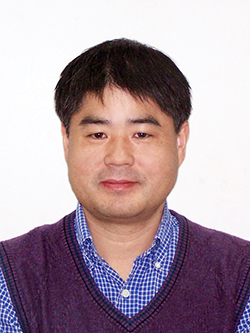 Dr Jin is the Editor-in-Chief of the IEEE TRANSACTIONS ON COGNITIVE AND DEVELOPMENTAL SYSTEMS and Co-Editor-in-Chief of Complex & Intelligent Systems. 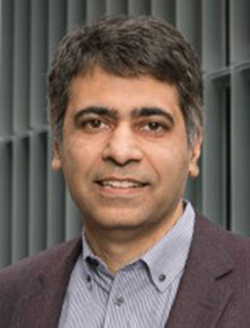 He is an IEEE Distinguished Lecturer (2013-2015 and 2017-2019) and past Vice President for Technical Activities of the IEEE Computational Intelligence Society (2014-2015). He is the recipient of the 2018 IEEE Transactions on Evolutionary Computation Outstanding Paper Award, the 2015 and 2017 IEEE Computational Intelligence Magazine Outstanding Paper Award. He is a Fellow of IEEE. Many real-world complex optimization problems can be solved based on data only, which is known as data-driven optimization. In this talk, we discuss the main challenges in data-driven evolutionary algorithms resulting from complexities in data as well the problems to be optimized. We then present recent advances in data-driven optimization that systematically integrate advanced machine learning techniques including active learning, semi-supervised learning and transfer learning, with evolutionary algorithms. Real-world examples are provided to illustrate different model management strategies for handing different data-driven optimization problems. 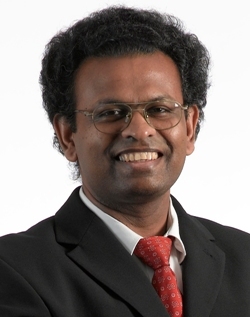 Professor Ponnuthurai Nagaratnam Suganthan (or P N Suganthan) received the B.A degree, Postgraduate Certificate and M.A degree in Electrical and Information Engineering from the University of Cambridge, UK in 1990, 1992 and 1994, respectively. After completing his PhD research in 1995, he served as a pre-doctoral Research Assistant in the Department of Electrical Engineering, University of Sydney in 1995–96 and a lecturer in the Department of Computer Science and Electrical Engineering, University of Queensland in 1996–99. He moved to NTU in 1999. He is an Editorial Board Member of the Evolutionary Computation Journal, MIT Press. He is an associate editor of the IEEE Trans on Cybernetics (2012 - ), IEEE Trans on Evolutionary Computation (2005 -), Information Sciences (Elsevier) (2009 - ), Pattern Recognition (Elsevier) (2001 - ) and Int. J. of Swarm Intelligence Research (2009 - ) Journals. He is a founding co-editor-in-chief of Swarm and Evolutionary Computation (2010 - ), an SCI Indexed Elsevier Journal. His co-authored SaDE paper (published in April 2009) won the "IEEE Trans. on Evolutionary Computation outstanding paper award" in 2012. His former PhD student, Dr Jane Jing Liang, won the IEEE CIS Outstanding PhD dissertation award, in 2014. His research interests include swarm and evolutionary algorithms, pattern recognition, big data, deep learning and applications of swarm, evolutionary & machine learning algorithms. He was selected as one of the highly cited researchers by Thomson Reuters in 2015, 2016 and 2017 in computer science. He served as the General Chair of the IEEE SSCI 2013. He has been a member of the IEEE since 1990 and Fellow since 2015. He was an elected AdCom member of the IEEE Computational Intelligence Society (CIS) in 2014-2016. This talk will first introduce the main non-iterative learning paradigms such as the randomization based feedforward neural networks (e.g. RVFL, ELM), random forest, and kernel ridge regression. Some of these non-iterative methods have closed form solutions enabling them to be trained extremely fast. The talk will highlight the similarities and differences among these methods developed over the last 20-25 years. The talk will also present extensive benchmarking studies of these methods using classification and forecasting datasets. Prof. Rama Chellappa is a Distinguished University Professor, a Minta Martin Professor of Engineering and Chair of the ECE department at the University of Maryland. His current research interests span many areas in image processing, computer vision, machine learning and pattern recognition. Prof. Chellappa is a recipient of an NSF Presidential Young Investigator Award and four IBM Faculty Development Awards. He received the K.S. Fu Prize from the International Association of Pattern Recognition (IAPR). He is a recipient of the Society, Technical Achievement and Meritorious Service Awards from the IEEE Signal Processing Society. He also received the Technical Achievement and Meritorious Service Awards from the IEEE Computer Society. 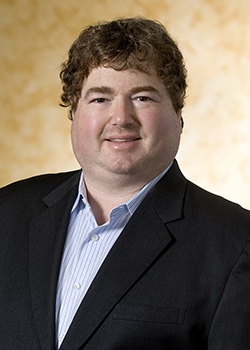 Recently, he received the inaugural Leadership Award from the IEEE Biometrics Council. At UMD, he received college and university level recognitions for research, teaching, innovation and mentoring of undergraduate students. In 2010, he was recognized as an Outstanding ECE by Purdue University. He received the Distinguished Alumni Award from the Indian Institute of Science in 2016. 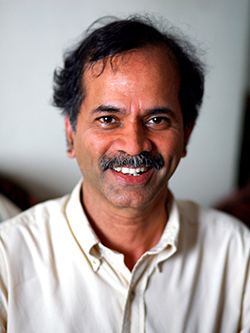 Prof. Chellappa served as the Editor-in-Chief of PAMI. He is a Golden Core Member of the IEEE Computer Society, served as a Distinguished Lecturer of the IEEE Signal Processing Society and as the President of IEEE Biometrics Council. 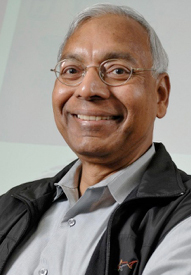 He is a Fellow of IEEE, IAPR, OSA, AAAS, ACM and AAAI and holds six patents. Recent developments in deep representation-based methods for many computer vision problems have knocked down many research themes pursued over the last four decades. In this talk, I will discuss methods based on deep representations for designing robust computer vision systems with applications in unconstrained face and action verification and recognition, expression recognition, subject clustering and attribute extraction. The face and action recognition system being built at UMD is based on fusing multiple deep convolutional neural networks (DCNNs) trained using publicly available still and video face data sets and task appropriate loss functions. I will then discuss some new results on generative adversarial learning and domain adaptation for improving the robustness of computer vision systems. Dr. Yuhui Shi is a Chair Professor in the Department of Computer Science and Engineering, Southern University of Science and Technology (SUSTech), Shenzhen, China. Before joining SUSTech, he was with the Department of Electrical and Electronic Engineering at the Xi’an Jiaotong-Liverpool University (XJTLU), Suzhou, China, from January 2008 to August 2017, and was with the Electronic Data Systems Corporation (EDS), Indiana, USA, from October 1998 to December 2007. He is an IEEE Fellow, the Editor-in-Chief of the International Journal of Swarm Intelligence Research, and an Associate Editor of the IEEE Transactions on Evolutionary Computation. Dr. Shi co-authored a book on Swarm Intelligence together with Dr. James Kennedy and Dr. Russell C. Eberhart, and another book on Computational Intelligence: Concept to Implementation together with Dr. Russell C. Eberhart. Swarm intelligence (SI) algorithms, a collection of population-based optimization algorithms, have been designed and researched to solve problems which are very difficult, if not impossible, for traditional optimization approaches such as hill-climbing approaches to solve. Most existing SI algorithms are nature-inspired and/or bio-inspired, especially by objects with low level intelligence. The brain storm optimization (BSO) algorithm, a new population-based swarm intelligence algorithm, is inspired by the brainstorming process. In this talk, the brainstorming process will be introduced first, followed by the development of the brain storm optimization algorithm. Then new advances on BSO will be presented. Finally, the BSOs will be looked at from the developmental learning perspective. 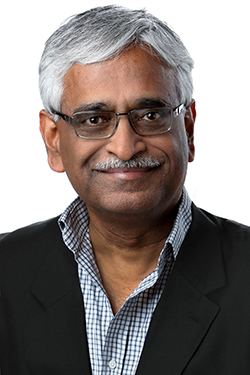 Anil Jain is a Distinguished Professor of Computer Science at Michigan State University. He is a Fellow of the ACM and IEEE and is a recipient of Guggenheim, Humboldt, Fulbright, and King-Sun Fu awards. He served as editor-in-chief of the IEEE Transactions on Pattern Analysis and Machine Intelligence and was a member of the United States Defense Science Board, Forensic Science Standards Board and AAAS latent fingerprint study. Jain is a member of the U.S. National Academy of Engineering and the Indian National Academy of Engineering. Biometric recognition refers to the automated recognition of individuals based on their biological and behavioral traits such as fingerprint, face, iris, and voice. The first scientific paper on automated fingerprint matching was published by Trauring (1963). Since then progress in the field has enabled biometric systems to accurately recognize individuals in real-time in applications ranging from unlocking personal smartphones to international border crossings. Despite this progress, a number of challenges and lack of understanding continue to inhibit the full potential of biometrics. In this talk I would like to share with you some of these challenges, requirements, opportunities for basic and applied research, and few ongoing projects in my laboratory. Instructor of Master Class: Research Trends in AI with Venture Applications at GMIC, Hong Kong, October 2017 "How to Achieve Data Analytics and Artificial Intelligence in X"
Michigan State University, USA From the Edge of Biometrics: What’s Next?